Do you know what a genetic switch is?  Celebrate Darwin Day a little late at CFI Long Island’s March Monthly Forum. At this Forum we plan on viewing a NOVA special called “What Darwin Never Knew”. (The program will be slightly edited for time). This is an excellent, fast-pasted and kind of spunky program based on the book “Endless Forms Most Beautiful: The New Science of Evo Devo and the Making of the Animal Kingdom” by biologist Sean Carroll , Ph. D. Doctor Carroll is an American evolutionary developmental biologist, author, educator and executive producer. He is the Allan Wilson Professor of Molecular Biology and Genetics at the University of Wisconsin–Madison. Earth teems with a staggering variety of animals, including 9,000 kinds of birds, 28,000 types of fish, and more than 350,000 species of beetles. What explains this explosion of living creatures—1.4 million different species discovered so far, with perhaps another 50 million to go? The source of life’s endless forms was a profound mystery until Charles Darwin brought forth his revolutionary idea of natural selection. But Darwin’s radical insights raised as many questions as they answered. What actually drives evolution and turns one species into another? To what degree do different animals rely on the same genetic toolkit? And how did we evolve? “What Darwin Never Knew” offers answers to riddles that Darwin couldn’t explain. Breakthroughs in a brand-new science—nicknamed “evo devo”—are linking the enigmas of evolution to another of nature’s great mysteries, the development of the embryo. NOVA takes viewers on a journey from the Galapagos Islands to the Arctic, and from the explosion of animal forms half a billion years ago to the research labs of today. Scientists are finally beginning to crack nature’s biggest secrets at the genetic level. The results are confirming the brilliance of Darwin’s insights while revealing clues to life’s breathtaking diversity in ways the great naturalist could scarcely have imagined.